SupaTite Range - CASCADE PLC - The new home of Cascade Clamps UK Ltd, Suppliers and Manufacturers of pipe fittings to the water & gas industry. The Cascade SupaTite is a strong and reliable fitting designed for use on high pressured mains. 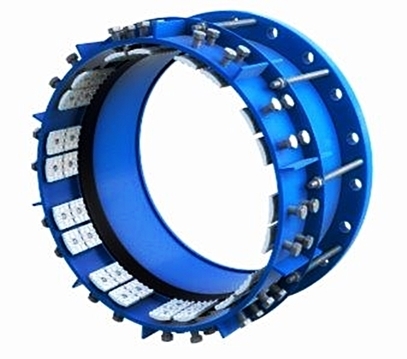 Operating like a traditional Flange Adaptor or Coupling but with the added strength of a row of gripper teeth that can be individually tightened. Which bite down on the pipe to hold the fitting firmly and securely in place, once installed the fitting will be SupaTite. These fittings are available with EPDM or NBR gaskets and are constructed using WRAS approved materials. Now offering our newest variant the 4G, 4x the grip and durability of all previous variants... still half the price! NOW AVAILABLE IN 4G MODEL... 4 TIMES THE GRIP... STILL ONLY HALF THE PRICE! 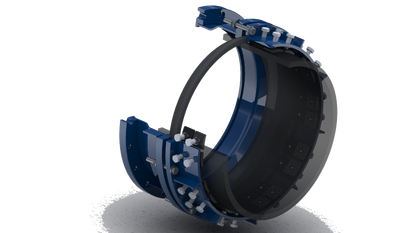 Project completed in a pumping installation in which a specifically designed 6G model of the SupaTite was fabricated to ensure even stronger restraining properties. 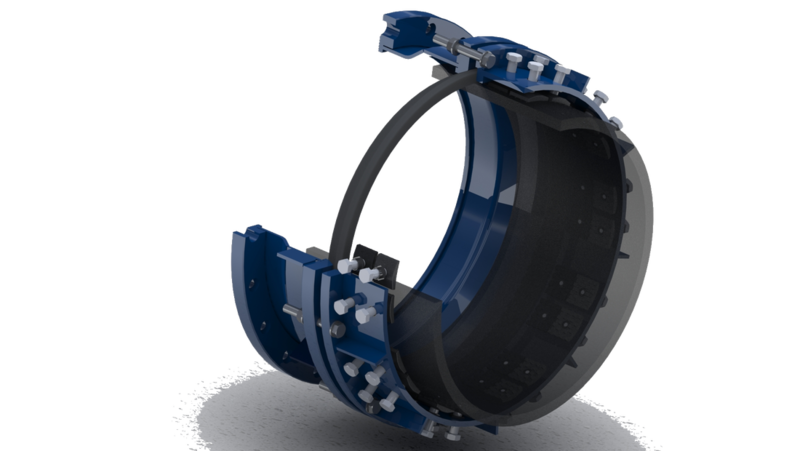 These can be made in all sizes and to withstand high pressure... contact us today.